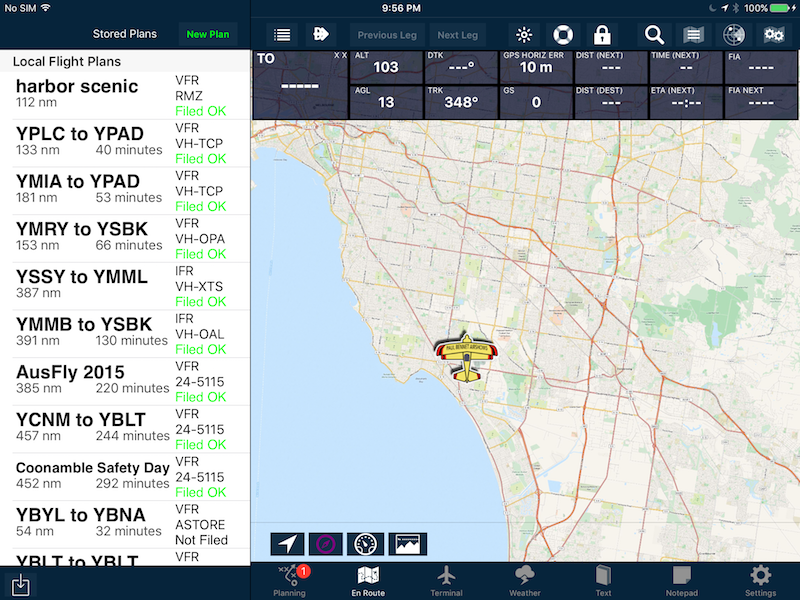 The Default Aircraft Icon is the icon that is displayed on the map whenever there is no plan currently open. i.e. your Stored Plans list is visible. 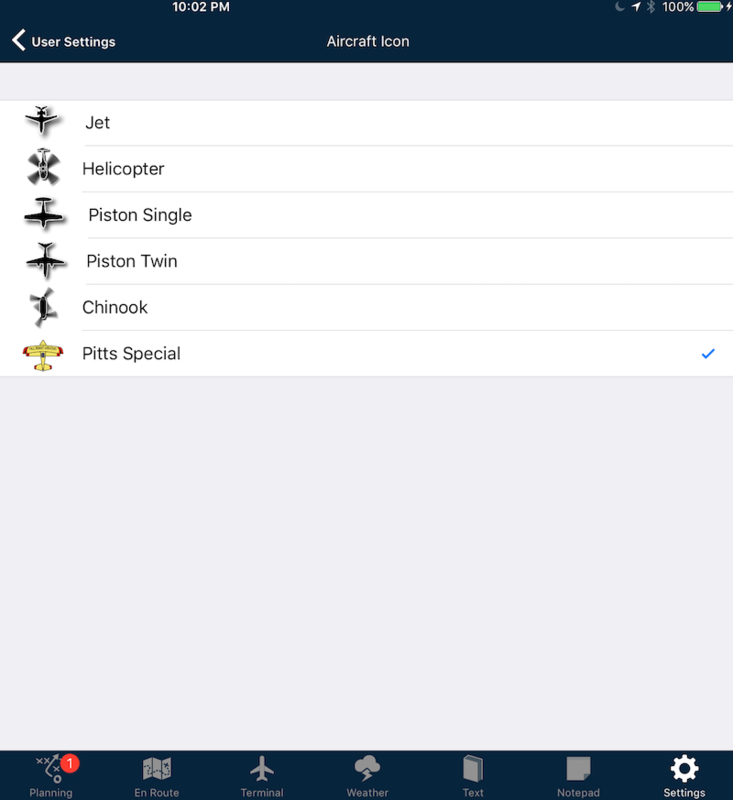 To change your icon, tap Settings > User Settings > Default Aircraft Icon. 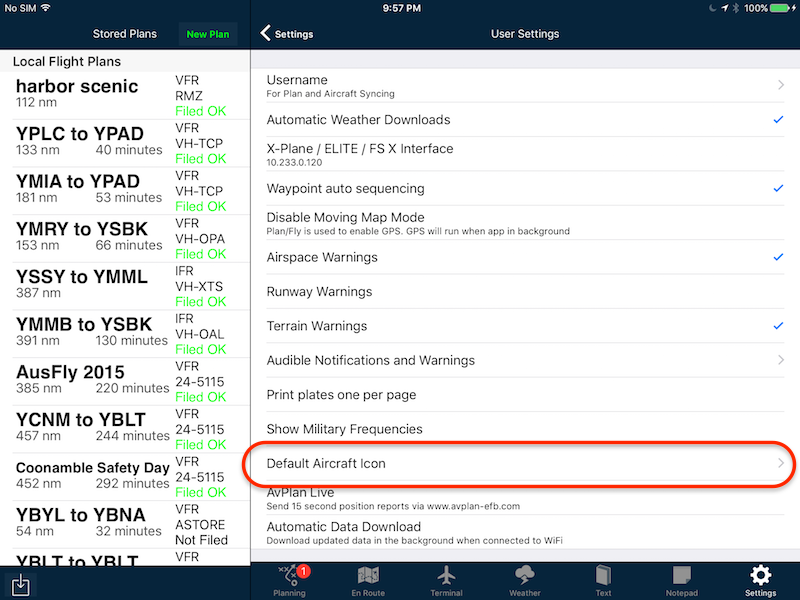 Now, you should see that particular icon whenever you’re in between flight plans!